What makes an international university? From 6-10 May 2019 we invite colleagues from partner institutions and from universities abroad: Let's imagine that we could create a new international university from the ground up. What would it look like and what would we start with? 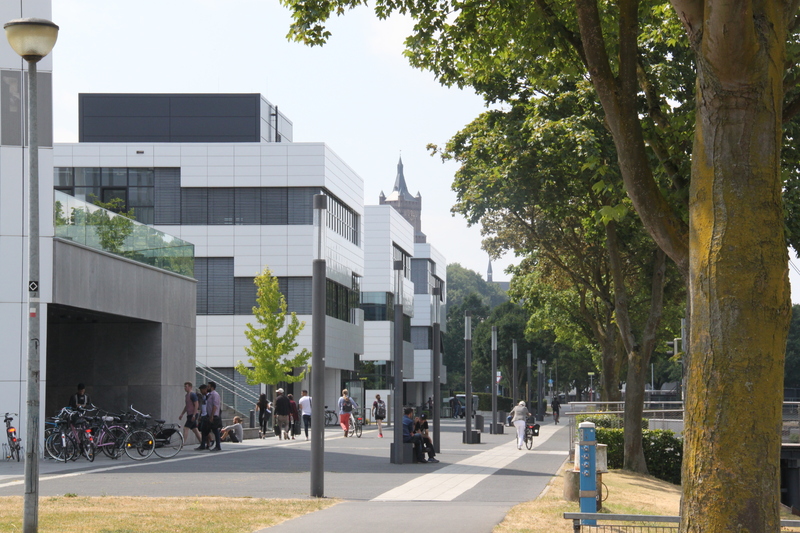 This is the driving idea behind Rhine-Waal University’s first-ever International Week, a forum for ideas and experiences on internationalisation. We would like to share with you experiences we’ve made in the ten years since our own international institution was founded, which today boasts a student body made up of 47% international students from over 120 different countries. You’ll also have the chance to experience first-hand our diverse, dual-language campus as well as the surrounding towns of Kleve and Kamp-Lintfort and share ideas with colleagues from your same field of responsibility on how to address the day-to-day issues unique to highly international institutions of higher education. Who can participate? Colleagues involved directly or indirectly with internationalisation efforts in higher education, for example staff from international offices, student services, career services, language centres as well as faculty coordinators, administrative staff, financial managers, IT technicians and human resources managers. Participation fee: €200.00. Accommodation not included in this fee. How can I register? You can register online by 14 February 2019.